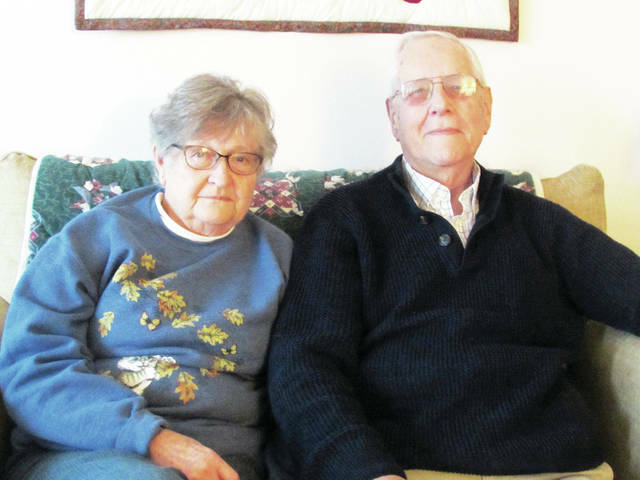 Peg and Paul Meeker will be the grand marshals Saturday of the Annual Lighted Wauseon Christmas Parade. A decorated fire truck in last year’s parade. 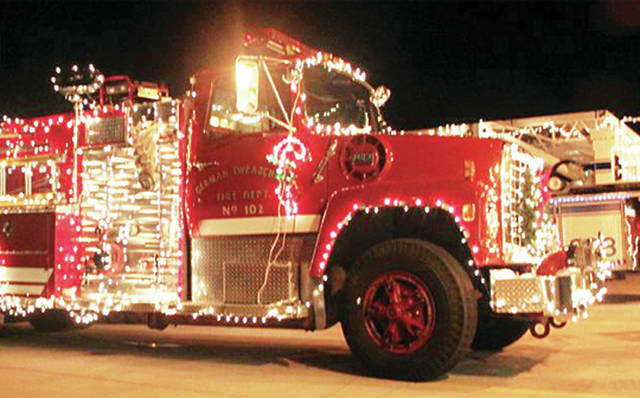 Christmas lights will sparkle and floats will dazzle Saturday at the 11th Annual Wauseon Lighted Christmas Parade. The festivities will begin at South Park at the end of South Fulton Street at 7 p.m. A cavalcade of lighted floats will travel down Fulton Street before turning west on Oak Street, south on Clinton Street, then west on Depot Street, ending at the Wauseon Depot. Floats will feature local businesses and organizations, and, as always, there will be an appearance by Santa Claus and Mrs. Claus. This year’s grand marshals are Paul and Peg Meeker. Paul served 28 years as a former teacher and choir director in Wauseon schools. Peg was employed for 31 years in the Dietary department of the Fulton County Health Center, and was a 4-H advisor. Paul volunteers at the Fulton County Health Center and for Meals on Wheels; Peg volunteers at Fulton Manor and the Fulton County Humane Society. Kerr said they were selected for their leadership and community service. “The two of them have been just tremendous community supporters. They’ve made a great investment in the community over the years,” he said. The Meekers will ride in a carriage sponsored by The Lead Shed and Grieser Interiors. Following the parade, Santa and his wife will mingle with the public at the Depot, where hot chocolate will be provided by the Blue Ribbon Diner, and cookies by Sullys Bakery and Bistro and Chief Supermarket. Guests will also be treated to Christmas music by the Wauseon High School Chorale and Brass Carolers. Fulton Street will be closed to traffic at 6:30 p.m., but until then parking will be permitted. The parade line-up will begin at 5:30 p.m. at the Detwiler Building, 604 S. Shoop Ave. Businesses or groups wishing to participate can register online at wauseondowntown.org. About 2,000 people attend the parade each year. Kerr said it’s made possble this year through the sponsorship of the Wauseon Homecoming Committee and local business contributions.